That brings me on to this month and what it means to me. October is a month of nostalgia, filled with childhood memories. The first thing that comes to mind is that it is definitely the family birthday month: mine, my sister’s and it was my grandfather’s. Therefore, I have chosen to style the top of a really sweet antique writing bureau that my parents gave to me for my seventh birthday. My older sister, Juliette, had a similar bureau in her bedroom that had exciting compartments and lots of little drawers that I used to rifle through – I was super jealous of it and wanted somewhere to hide all my secret things. When my parents bought me my own, I will always remember seeing it for the first time and feeling such happiness. I have used a jelly mould because we always had big jellies at our birthday parties, and just because who doesn’t love a jelly mould? 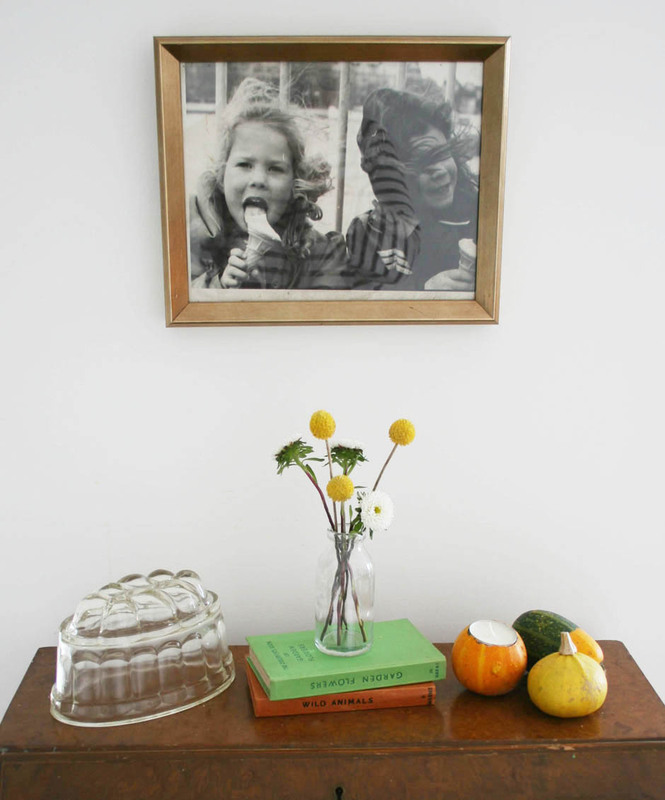 The picture above the desk is of me and my little sister, Amy, whose birthday it is on the 22nd of the month. I have styled the surface with Observers Books of Garden Flowers because this reminds me of my grandfather who was an avid gardener right into his nineties and whose birthday it was on the 15th of this month. The other two things that I think of instantly when it comes to October, and the reason for using the mini pumpkins (one of which I made into a tea light holder for cosy Autumn evenings), is Harvest Festival assemblies at primary school – it is so odd the connections you make as a small child that stay with you into adulthood – and Halloween, which was always one of my favourite celebrations. We always used to get so dressed up and join up with loads of the children in our neighbourhood and go trick or treating. So, so much fun. What does October mean to you? Charlotte and I would love to know and see your styled surfaces. 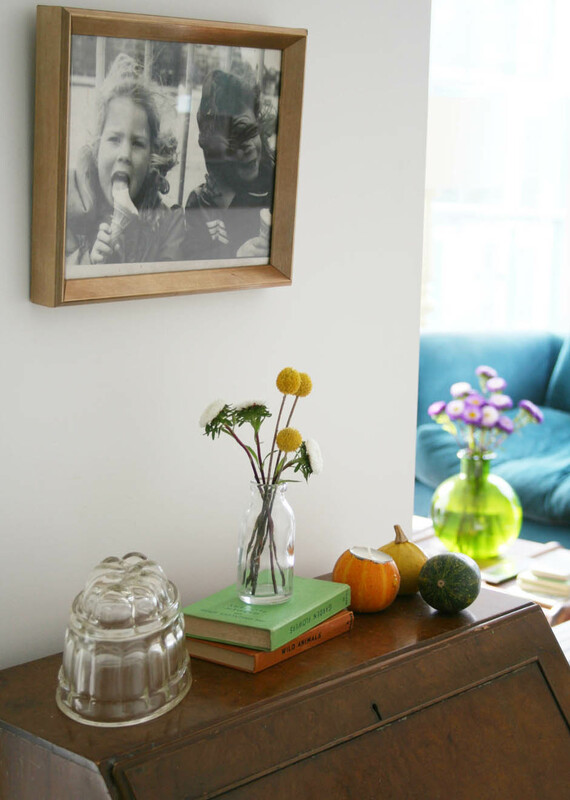 It is such a lovely thing to stop, reflect and re-style a surface in your home, clearing what was a dumping ground – I promise it will make you smile every time you walk by or sit and look at it so please do join in! 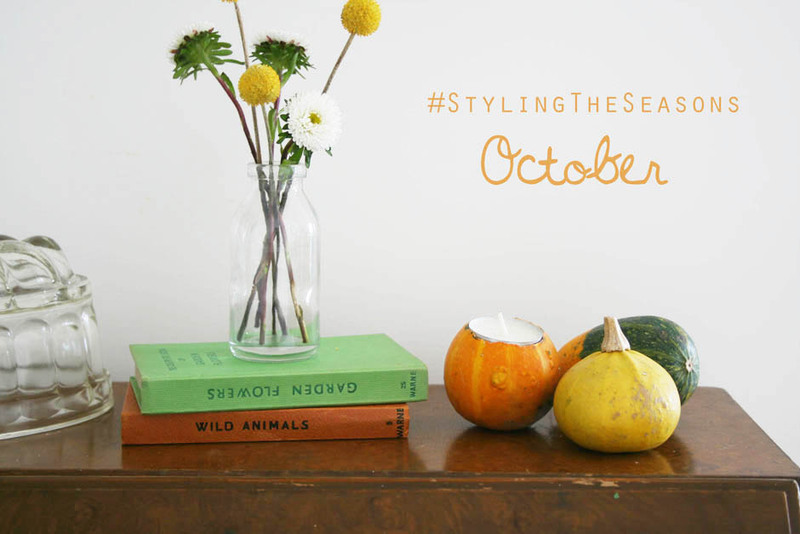 Tag me and Lotts and Lots and use the hashtag #StylingTheSeasons – either write a blog post or post on Facebook, Instagram or Twitter. I love this! <3 I'm a bit obsessed with autumn.. love the colours ! I've filled my home with pumpkins and pine cones, dry flowers and candles ! It smells delicious! Wishing you a speedy recovery! Autumn is my favourite season… I grew dahlia’s for the first time this year, and they have been glorious (if somewhat larger than anticipated!). I currently have three blooms glowing like small suns on the dining table and they make me smile whenever I see them. Hope you get well soon! I love autumn! The way everything has a special golden glow, and it’s socially acceptable to stay in, wrapped in a blanket, watching Netflix marathons! Love it. Wonderful. I have now missed September and hope i’m not too late to join in this month! Hope you are feeling a lot better soon Katy! 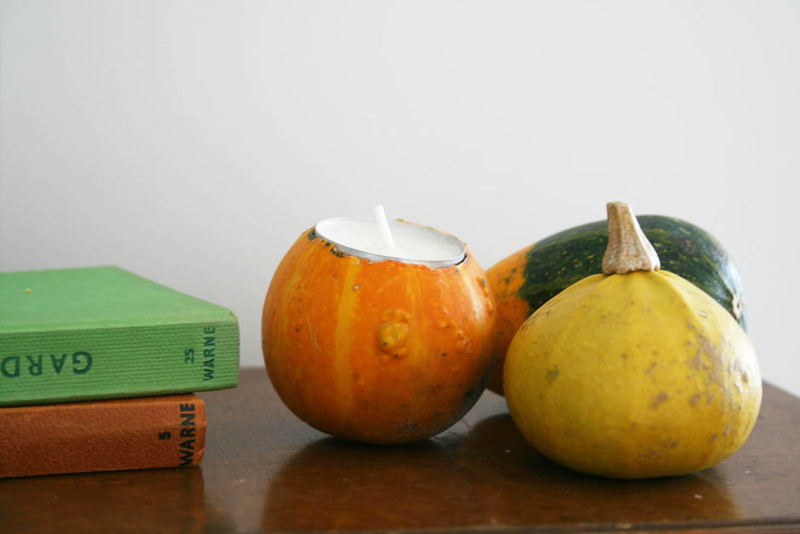 Love your beautiful autumnal styling, particularly the mini pumpkin tea light holder! Oh I adore this. And that bureau?! I’d love something similar to hide all of my treasures (or more likely, shopping receipts). I remember having very similar shaped jelly too. I was tempted to look out for one but can you believe that neither of my boys like jelly? I thought that all children were meant to like jelly? sorry to hear you’ve been so poorly :(, do take care of yourself! have been following your styling the seasons altho’ not had(made) time to do it myself but so inspired by autumn styling that I’m definitely going to do it this month- what better excuse to go gathering conkers:) & am definitely going to make pumpkin tealights -delightful! 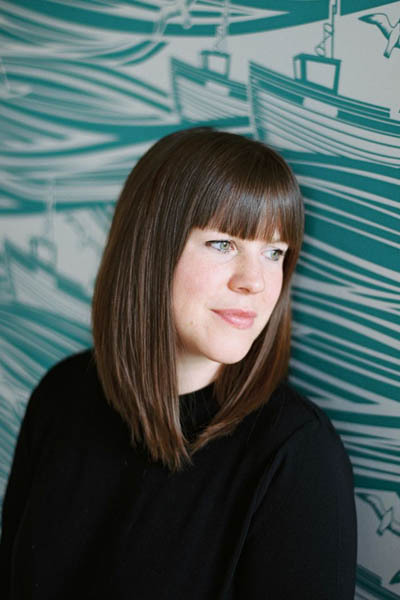 Thank you Katie, I am already thinking of something for November…it gives me a great opportunity to have a nice surface in my living room we can all enjoy !